Waste-Less Living – Striving for a wasteless life. The consultation was over five days covering the themes of Oceans, Land, Forests and Fresh Water. Speakers from different countries and professional backgrounds spoke on these themes framed within Scripture, Culture and Science. Delegates also had an opportunity to break into focus group to discuss what we had learnt each day. The consultation was hosted by Tahlee Ministries where delegates stayed for the week enjoying the scenery, nature and hospitality provided. My approach to the consultation was to learn about how the Christian community are bringing environmental issues to their congregations and wider Christian network, gather resources and to share the work I have been involved with through Tāmaki WRAP. In particular the work we have done with Christian churches and individuals, as well as to support my good friend on her journey to learn about Creation Care that is dear to her faith. Leading up to the consultation I had bouts of apprehension, mainly to do with how I would fit into an Evangelical consultation. However my good friend Hinemoa “with your experience and my faith we make one legitimate entry into this consultation”. I was also reminded by husband to treat it as you do going on to marae, be open, be respectful (thankyou darling x). This definitely put me at ease and at no time was my faith questioned nor was I made to feel uncomfortable as a non Christian during the consultation. At the consultation I was surprised to hear from a number of scientists reporting on climate change and other environmental issues. My naive view of Evangelical Christendom and many other religions couldn’t weave faith and science together. Marine Scientist Mitch Hollier explained during his presentation “Science as a way of worship – it glorifies and responds.” This explanation made me see how they can coexist in the context of environmental issues. My role as a waste facilitator is at a grass-roots community development level so it was good to take time to learn about the bigger picture of climate change and to put into perspective. It also made me think about where this fits into my own waste journey, and how this could be the next challenge for me to explore – a greater understanding and advocacy for environmental issues. Real examples from people living in areas affected by climate change were confronting and sad to hear from various speakers. Aso Ioapo from Tuvalu Climate Change Network gave a compelling talk about the physical effects of climate change on Tuvalu, as well as social, spiritual and economical impacts. The crisis is real and his people are asking hard-hitting faith and theological questions to which he is struggling to answer. Ioapo urged Western Churches to advocate on Tuvalu’s (as well as other island nations struggling) behalf, to do away with consumerism and to stand in solidarity on these issues. Iaopo ended his presentation by showing a video that highlighted the physical effects of climate change on Tuvalu. It was very confronting and saddening to see a home washed away. Hearing from the Pacific Island nations made me think of my trip to Vava’u Tonga at the end of 2017. On the last day I managed to speak to Sekope Finau from the SDA in Tonga we talked briefly about waste. I feel I have unfinished business in Tonga and I hope some time in the future I will get to go there again, hopefully in a working capacity. A highlight for myself and others from the NZ contingent was meeting and hearing from Marilyn Wallace and her husband Peter, traditional custodians of the land now called Australia and from the Nyungkal Ranger Service. We learnt about their culture, country and way of life through their presentation and in good spirits over dinner. Their work and genuine kindness is beautifully showcased in this video. I picked up that Rev Dave Brookless A Rocha International Director of Theology who had a significant role in the consultation was a gardening advocate which I related to. Brookless’s final presentation talked about how it is important to set down your roots in your community – not just figuratively but literally and to learn something about your neighbour – all of which is Gospel. Gardening has been a meaningful experience for me over the years and it has helped my family find it’s place in our community. Another point that I found particularly interesting from Rev Dave Brookless was his explanation of the word ‘new’ in the Bible, and how this has been lost in translation. The word ‘kainos’ from the Greek New Testament translates to ‘renew’. Best that I not try and explain theological narrative, you can read this is discussion in his book Planetwise: Dare to Care for God’s World. At night was a chance to share stories and short presentations on the projects that everyone was involved in. These were all very inspiring and our Tāmaki WRAP presentation was well received. It was noted by delegate Dr Andrew Shepard Eco-Theologian and Director of A Rocha NZ on the strong wāhine presence in our presentation. I think at times I take this for granted, I am so grateful to be surrounded, inspired and mentored by many wāhine toa everyday. The focus groups were useful, however I found it hard to look at things top down. I saw the struggle in the church to make environmental issues relevant to their congregations. My contribution to many discussions was to encourage community led grass roots action. We both made some great connections all over the Pacific and we have plans for resource sharing and working together. On the final day each country got together to create a plan, the Aotearoa contingent was lucky to have Dr Andrew Shepard to lead the planning and he provided great advice and resources from A Rocha. Ai Wei Wei, Law of the Journey, 2017. A day in Sydney en route back to Auckland we had some time for some sightseeing. We went to see some of the Sydney Biennale at the Museum of Contemporary Art Australia and on Cuckotoo Island. The work by Ai Wei Wei photographed above was a stark reminder of the current refugee crisis of 22 million worldwide, it also reminded me of discussions at the Consultation on the implications of the potential relocation of the Tuvalu people due to rising sea levels. People are connected to their land and relocation is not straight forward to say the least, if it is even an option. Open mic night fundraiser was a great night! It was a privilege and a pleasure to be part of the Aotearoa contingent, we think we represented well all of our projects, organisations and culture. A special thank you to Tāmaki WRAP, St Johns Theological College and to those who donated funds at our Open Mic Night that made this experience possible for myself and Hinemoa. There are some great environmental resources on the NZ A Rocha website. Also check out Cherished Earth – a climate justice initiative, connecting faith and creation care. Summer has been a bit of a mixed bag here in Auckland. Long hot days, a few storms, rain and high humidity. This was the first year that I had a full season of gardening in the raised beds that I had installed last summer. To recap I had moved the location of the vegetable garden for convenience and for full sun position. We picked up a wooden crate from the side of the road that we converted to three raised beds, I hammered together a fourth bed from some old timber I had lying around. I used the sandwich method of layering various types of organic matter; starting with a thick layer of cardboard to suppress the grass and weeds then layering with bokashi compost, coffee grounds from local cafes, dried leaves, comfrey leaves, manure, seaweed, lucerne straw, mulch, and compost. Three beds are intersected by a feijoa and mandarin tree. At first some of the plants were not doing too good which was a bit puzzling as I thought the soil must be good from all the rich organic matter. I am always asking questions and listening intently when around other gardeners and from this I found out that my soil could be too rich and it needed a bit of neutrality so I bought some potting mix and added this to the beds and this seemed to help. A packed bed – tomatoes, chillis, butternut pumpkin and some onions (I think!). I planted lots of tomatoes this year. I bought one grafted tomato – a gardener that I once worked with at the school garden had planted grafted tomatoes and they were the size of small trees and were abundant with fruit. So this prompted me to try this, I put one grafted tomato in a large pot, it grew very large and produced a fair amount, however I think it would have done better being planted in the ground where more nutrients could have been provided by the earth. The other tomatoes that I planted were the variety ‘money maker’, I planted these in the raised beds. They were value for money (excuse the pun), I was picking around 5-10 a day from around four plants. I pick mine when they are orange and leave them on my window sill to ripen. As I intended to make passata and pasta sauce I would put them in the freezer until I had enough to make a batch. Chilli’s were also very productive and still are producing, I put most of them in the freezer until I had a good amount to put in brine to preserve. The one chilli plant that I had in a pot I have now brought inside to see if I can get chilli’s through winter. I got a few courgettes off one courgette plant, but overall not they weren’t that successful with a few rotting on the plant. I planted kumara for the first time in November in one bed. I think I had around eight shoots, from these eight shoots they are looking very lush and I am looking forward to this harvest – probably around April. Kumara planting advice from Richard Maine (Gardens for Health) – Plant in mounds with several shoots in each mound, position the roots towards the east, mound up as they grow as you would with potatoes, they like seaweed. Kumara patch, you can eat the leaves! Nena was given some New World ‘Little Garden’ pots. She enjoyed growing these from seed inside and planting them out in the garden. From her ‘Little Garden’ the cucumbers were most productive and are still growing! We have been enjoying lots of salads and I have pickled a few jars of them. In the back garden there are still things growing. My grafted apple tree is now producing some fruit and a couple of citrus trees are also doing well. The grape vine was disturbed from an install of a new fence, the fruit wasn’t going to make it so I picked the unripe grapes and made verjus and unripe grape jam. Our beloved banana trees give us a bunch every around every 3 months. The last bunch I peeled and put in a bag in the freezer, the lady finger size is perfect for throwing in smoothies! Verjus. Jars have gone in the freezer. Unripe grape jam, goes well with cheese and crackers. Taro loved the humid weather with the leaves getting to nearly one metre in length! At this size they are not great for eating but the smaller ones are which we sometimes cook. Remember if you are cooking, cook them for a long time or else they will make your throat fifisi (itchy)! Other leafy greens such as lettuces, kale and spinach didn’t fare too well in the garden, slugs and snails would get to them before I did. Aside from enjoying gardening at home I have enjoyed other gardens! The winter gardens at the Auckland Domain are always a highlight, especially the water lily pond. It has become a tradition for our girls to be photographed at this pond that started with Nena when she was around two years old. I was particularly excited this time to see the lily pond after reading The Plant Messiah. It is a fascinating read of horticulturist Carlos Magdalena’s experiences and passion for plants, water lillies are one of his favourite plants and it was interesting to read about their history and the species. Summer now is officially over and I have pulled out some of the summer crops. A knowledgeable garden friend suggested that I cut off the plants at the base and leave the roots in. This helps aerate the soil and feeds the soil as the roots rot. I intend to do this in one bed, I am always keen to try out new things in the garden. I hope everyone has had a great summer in the garden! Please let me know your high and low lights in the comments! In December 2017 I traveled with my parents and two youngest children to Vava’u. Vava’u is a group of islands in The Kingdom of Tonga. It is also where my Tongan family descend from on my mothers side. A family reunion was the main reason for going, and although the reunion was cancelled a month out we still decided to go for a holiday. I did my best to pack for a zero waste holiday or as close to zero waste as possible for myself and the kids. Cloth nappies, reusable coffee cups, stainless steel drink bottles, reusable produce bags and shopping bags, activity bags, containers and a cutlery kit was all packed. Unfortunately both of the kids got sick, one after the other, nothing too bad but enough to keep me from being in control of some things that led to waste. But I didn’t fret over it as the kids health was most important. In the breaks I did get from the kids getting sick what I did see was an amazing lush green landscape growing fruits and staple crops at every turn surrounded by emerald green water. We also visited a family cemetery and houses and land where relatives used to live. I imagined what the life was like back then and how different it is now on the island. The view at the top of Mt Talau was breathtaking, swimming at a seaside village and watching Marcy in her element with the village kids was also a highlight and experiencing a Sunday church service was good for the soul. Sanft, Guttenbeil and Shumarkel cemetery. Planning my zero waste trip I came across Vava’u Protection Association VEPA. I was interested to hear what they got up to so I visited the centre and had a chat to Karen Stone – an educator at VEPA. I learnt that recycling is available but not economically viable (sent to China), especially plastic recycling. Disposable nappies are subsidised by the government to encourage women to return to the workforce (perhaps giving women one less washing load? ), the outcome being disposable nappies make up a large percentage of landfill or unfortunately, end up being dumped in other areas. (Cultural beliefs forego disposable nappies being incinerated- which is a viable option according to Karen). Another effect of disposable nappies is that the water quality has been affected, which could account for bottled water sold and discarded everywhere and even locals stocking up. However it was great to see the locals harvesting and using rainwater which made me think I need to get a rainwater tank set up at home ASAP! VEPA do an array of work and one of their projects was working with retailers at the local marketi to forego plastic bags. I also learnt that plastic bags were taxed for a time but it didn’t work out so plastic bags are now back 😦 however food waste is not high on the waste scale which was encouraging to hear 🙂 Recycling bins are scattered all over the island and I noticed that in small villages they looked good – uncontaminated and used well compared to the ones in the main town. A small recycling station that I found near where I was staying. Here I dropped off some cans and bottles. I noticed a lot of litter around, plastic and glass bottles, food packets, plastic bags, and others who I traveled with and met up with noticed it too, so it wasn’t me with my waste cap on! It was a little depressing to be honest and it made me sad for the island and the people living there and also made me think about my ancestors who worked and lived on the land and what they would think. Vava’u is a small place but the waste issues seemed so big. It made me think of all the initiatives and services that are available in NZ and how grateful I am for them but also it made me think that there are so many meaning we consume and make a lot of waste! Local marketi, VEPA are working with retailers to forego plastic bags. Chatting to some family who joined us in Vava’u and who had been to Vava’u 10 years previous, they talked about how litter wasn’t what it is now and that burning waste (mainly stuff that was swept up around their property, I would imagine dried leaves and garden waste) was common but now not common at all, because according to a local – “you can’t burn plastic” which seemed to be the most common waste. (Here is a video clip made in the Tongan language that talks about the risks and harm that burning plastic has on the environment). Doing a bit of research before and after the trip I came across this report. Although it centres on Tongatapu it would appear the challenges are the same on other islands including Vava’u. The report mentions how abandoned cars are a growing waste problem, this I certainly noticed, especially when our driver pointed out his home above a car wreck site and it looked as though the cars had been there for many many years with the rusty cars blending into clay coloured land that had been hollowed out for the site. I do hope to visit Tonga again in the future, I hope that things are better environmentally. At the moment I feel there is a long way to go. A kava crop near Mt Talau. At $150 a kilo for kava powder this is a precious crop! The bigger picture – we stopped by Queen brand vanilla farm and talking to the farmer he told us that the last two seasons of vanilla had failed. Not just in Tonga but globally, he put the failure down to “two words – climate change”. So expect to be paying $$$$$ for vanilla if you are not already. Hearing about failing crops really freaks me out, I would hate to see my kids or grandchildren go hungry. Perhaps it is because I have’t traveled overseas to a developing country for some time, the effect of our disposable life seemed so obvious and catastrophic when there is limited to no infrastructure to deal with the issues associated. I am still reflecting on this trip and I am not sure where my experiences will take me. For now goodbye Vava’u, I’ll be back some day. I have been sitting on this post for a while now and it has gone through many changes during this time. I started this post sharing apologetically how my zero waste journey had taken a wee detour because we are recycling more due to our busy family life of 3 kids, full time and part time jobs plus other responsibilities. Our enthusiasm for zero waste has not subsided but our windows of time for going the extra zero waste mile has subsided. We are hoping that it is just a wee detour and we will back on track soon. However I started to ponder was this confession encouraging to other families? 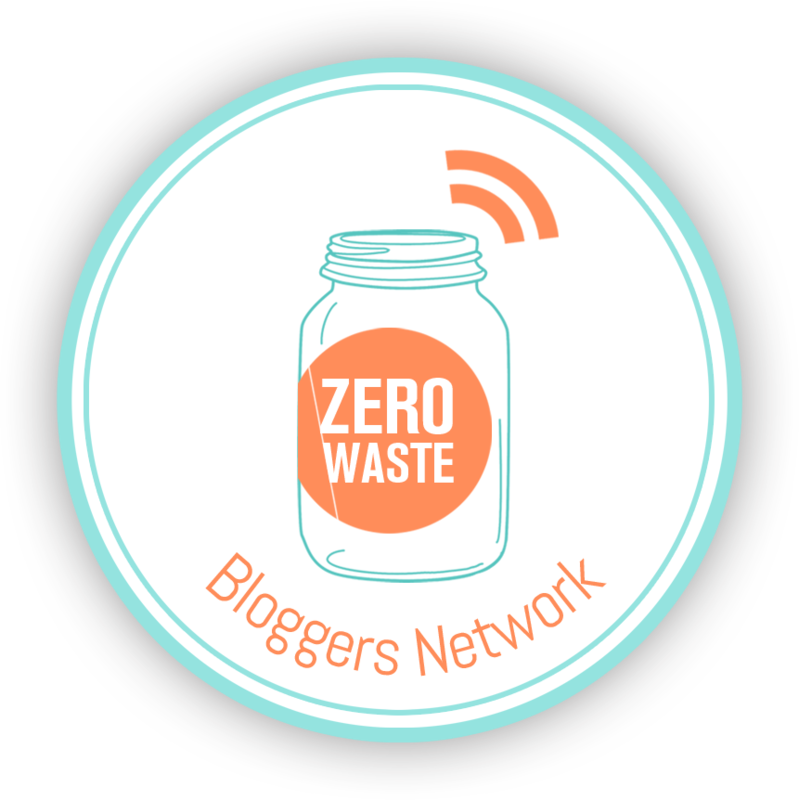 Our family has definitely been the high scale of zero waste – avoiding waste from the outset : see post A month in, lessons learnt. Now with two toddlers on the go and a social butterfly tween, myself picking up some more part time work, a husband who works full time and studies part time, life is busier then ever. So rather apologizing for recycling more – at the moment it is what is keeping us sane and zero waste – (depending on your definition). So this post is to highlight some recycling options that you may or may not know about that we have tried and tested. Recycling tip: put metal bottle caps into a can with a lid to contain before putting into recycling bin. Available at most supermarkets where I live. They are located near the entrance of the stores. We bought new appliances. It felt weird to buy new but time and money over -ruled! We recycled the polystyrene at Ecomatters which is a great place to visit. There is a bike kitchen there on Saturdays and a garden across the road which is nice to take the kids through. Nena at Ecomatters recycling our polystyrene from some new appliances, the lovely Barb in the background. We go back and forth between plastic toothbrushes and bamboo ones, (we gave miswak sticks a go but not really suitable for the kids!). When we use plastic toothbrushes we use Preserve toothbrushes bought from Huckleberry Farms. We have a bag in the bathroom for old toothbrushes and tubes that we take to a nearby drop off, last time we did it at Ecomatters when we did the polystyrene recycling. Miswak Stick: a natural toothbrush. Was a hard sell to the kids. More recycling options at Ecomatters. A local op shop recycles old mobile phones or else we keep a look out for the E-Waste recycling service that pops up every now and then at a nearby suburb. Composting diverts around 5-10kg of kitchen scraps from landfill at our place. Kitchen scraps such as fruit and vegetable peelings, coffee and tea grinds. They are recycled into compost for my garden! The best type of recycling in my opinion! And the easiest! If you are a busy family like us and the most convenient time for grocery shopping is a Saturday night then relax and recycle. Recycling is not perfect but sometimes convenience is just what a busy family needs sometimes to keep things flowing. Thanks for following my waste-less journey if you are a regular reader or if you are a first time visitor thanks for stopping by! I have begun 2017 with a bit of a switch around of inside and outside of the house. Our new year was spent changing the kids rooms around and everything that goes with that – cleaning, sorting, paring down and arranging. The two little ones are now sharing a room so the nine year old can be left in tween peace. Nena getting her things sorted thanks to a little upcycling! A friend who has many years experience in horticulture was kind enough to assess my property and advise on planting that has spurred me into action. Our to do list for outside involved putting together raised beds in an area that is better suited to our outdoor living as well as being in a better position to the kitchen and sun. A productive garden not only provides a source of food but also provides a ‘waste’ solution by the means of a compost for our kitchen and garden waste. Max picked up a wooden box on the side of the road that he sawed into 3 that I am using for my raised beds. I have begun to layer the beds with cardboard, lucerne straw, bokashi, compost, comfrey leaves and coffee grounds that will hopefully all break down into some great soil ready for planting in autumn. I also picked up two steel gates from the side of the road that I will attach to one of the beds and the deck to serve as a trellis. The side of the road has served me well! I will mulch around the beds to keep the weeds out and to cut down on overall maintenance of the grass. I also have do some work to do in the periphery garden that I haven’t paid much attention to over the years. I will start with mulching and adding compost once I have some to help bring the soil quality up then begin to add native plants to achieve a lush border. My lovely husband built me a two bay compost from pallets that has replaced my circular wire compost which did the job but was a bit of a challenge to turn. I love my new compost and it will be integral to providing nutrients back into the garden. From experience, talking to others and reading, compost – made on site is vital to a garden succeeding. I guess it has something to do with the microbes all working together in an ecosystem – like familiar friends kicking off where they left off. So this is the last season my vegetable garden that has served me for 4 years will exist. Once the summer crops are over I will take the edging away and let the grass grow over. I am now in the process of planting fruit trees down the back of our property. It will be a little sad to say goodbye to this patch however the soil has never been that great and it is a struggle to keep the kikuyu at bay. I will you keep you updated on my new garden and fruit forest. As always waste reduction continues to underpin my day to day life and I try best to share my experiences on this blog. However I am much more active on my instagram account so you may want to check it out and hit the follow button. Here are three things that you can easily make yourself to give away as gifts that will make you look a bit awesome. Here’s a post I wrote a while back that has step by step instructions. I have friends and family who save small jars for me that I use for my balms, I also keep a look out for them at op shops. Recently I have been drying flowers and using them to seep in the carrier oil- an extra step but I like to make use of the calendula flowers at the community garden. Super duper easy. You’ll need a couple of sprigs of fresh rosemary. Take off the leaves and put them into a plunger, teapot or jug, pour over boiling water. Leave overnight, or until water is cool. Pour and strain into bottles. This is a nice gift to give to your garden friends. Put all ingredients into bowl and mix together. Put in jars/containers. I have been a bit neglectful of my blog due to life however something quite radical has occurred recently that I felt I had to share. My mum started composting! At her request! She has gone for the bokashi method which is really simple to do and easy to DIY your own. I am excited for my mum as bokashi composting was my family’s first step in significantly reducing our waste. Reuse old buckets, just make sure you give them a good clean. You can buy bokashi buckets systems from hardware stores or you can make your own. To make bokashi bins you will need two buckets the same size and one will require an airtight lid. Drill holes evenly dispersed at the base of one bucket. The bucket with holes will sit inside the other bucket with the airtight lid. For instructions on how to use here is a good link. Or if you live in Auckland The Compost Collective have great workshops that are free to attend and offer a discount upon attending a workshop to purchase a commercially available compost system. Whether you choose traditional composting / worm farm / bokashi you have made the first step in reducing landfill and use of resources, as well as creating your own eco-system – your garden will love the benefits of composting. Update on mum – she is now composting all her food waste! I help her out by taking her full bucket to the community garden where I either bury it in the soil or add it to the compost bins. And as you can see from the picture below her many pot plants are reaping the rewards from the bokashi juice that is collected. Composting is the right thing to do with organic waste and even ladies who like to grow flowers and enjoy a bit of retail therapy every now and then are getting on board.